They're rebels, scoundrels, and blackguards-dark, dashing men on the wrong side of the law. But for the women who love them, a hint of danger only makes the heart beat faster. 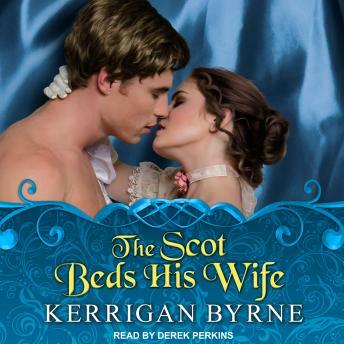 Gavin St. James, Earl of Thorne, is a notorious Highlander and an unrelenting Lothario who uses his slightly menacing charm to get what he wants-including too many women married to other men. But now, Gavin wants to put his shady past behind him . . . more or less. When a fiery lass who is the heiress to the land he wishes to possess drops into his lap, he sees a perfectly delicious opportunity. Samantha Masters has come back to Scotland, in a pair of trousers, and with a whole world of dangerous secrets from her time spent in the Wild West trailing behind her. Her only hope of protection is to marry-and to do so quickly. Gavin is only too willing to provide that service for someone he finds so disturbingly irresistible. But even as danger approaches, what begins as a scandalous proposition slowly turns into an all-consuming passion. And Gavin discovers that he will do whatever is necessary to keep the woman he has claimed as his own.